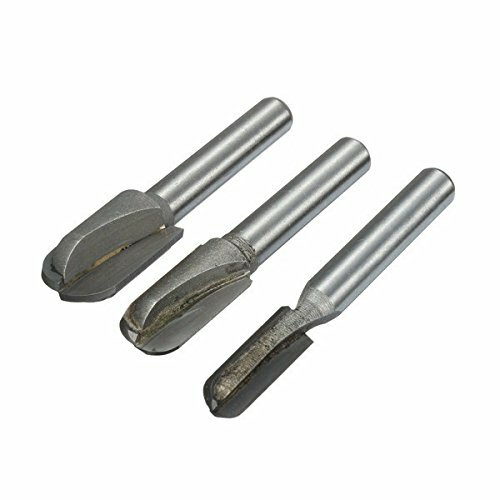 Material: Carbide Tipped Handle Diameter: 1/4" Diameter: 1/4", 3/8", 1/2"
Features: -High quality alloy forged blade, the overall use high quality steel as the substrate. -Mainly used for wood materials open arc-shaped groove, not be used for metal products processing. Material: Carbide Tipped Handle Diameter: 1/4"